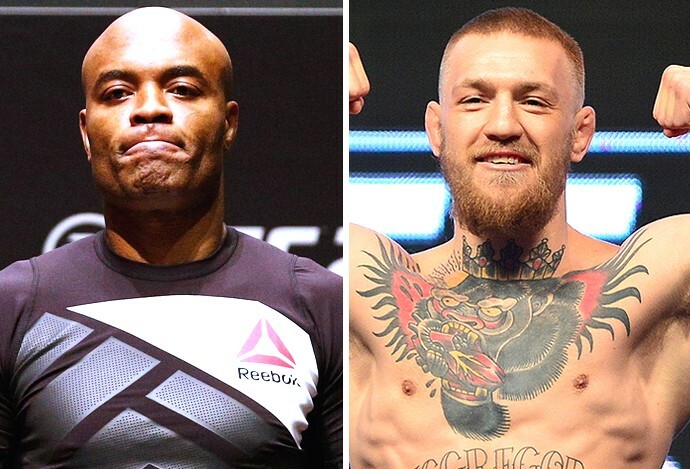 Anderson Silva: "It would be an honor to fight Conor McGregor"
On the heels of Conor McGregor’s UFC return this Saturday at UFC 229, when he finally locks up with current UFC lightweight champion Khabib Nurmagomedov for the UFC lightweight championship, there have been early discussions of future opponents who McGregor could face next ahead of his huge title fight. So far this week, we’ve heard McGregor state he would like to face guys like Tyron Woodley, and Georges St-Pierre, after he faces Nurmagomedov, should he win. But apparently another celebrated UFC legend along with St-Pierre has been added to that list, former long time UFC middleweight champion, Anderson “The Spider” Silva. While appearing on Ariel Helwani’s MMA Show recently, McGregor expressed his interest in hopes to someday fight Anderson Silva. Little did McGregor know, Silva got word of this and gracious acknowledged and obliged McGregor’s desire in a Instagram post. “It would be an honor to test myself with Conor McGregor,” Silva wrote in Portuguese (translation via MMA Fighting’s Guilherme Cruz). “He’s an unorthodox fighter and has proven he must be respected. Let’s make it happen. Next Could the winner of Rockhold vs Weidman have a serious chance of defeating middleweight champion Robert Whittaker?